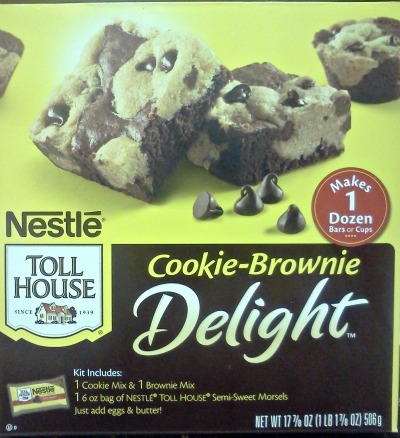 My husband picked up the new Nestle's Cookie-Brownie Delight a little while back. I kept hearing about how good it would be for dessert, but that didn't mean HE was going to bake it! So even though it seemed like a lot of work it was actually really easy. I meant to take photos while making it but it is so simple and quick. Basically you melt butter, eggs and water to each mix. Pour the brownie batter and then drop spoonfuls of cookie dough on top and bake! So simple you can't mess it up right? Wrong! I found a way, ha ha ha! So you can see my Cookie-Brownie looks more like just a brownie. When I was making the cookie dough I had to melt the butter, I thought it had cooled enough but I was wrong. Luckily I have bags and bags of Nestle chocolate chips so I threw in some more once the chocolate cookie dough was mixed, that's how it turned into chocolate chocolate chip cookie dough. 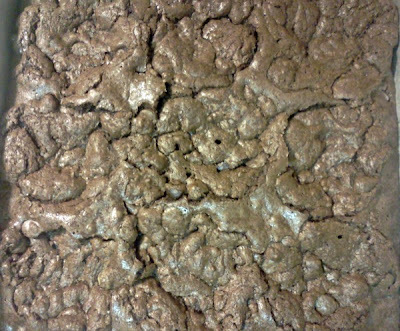 So it was actually a Chocolate Chocolate Cookie- Brownie Delight and it was still a hit! I plan on making them again but next time I will double check the temperature of the butter! Disclosure: I was not compensated for this post and Nestle was not involved. All opinions are 100% my own.